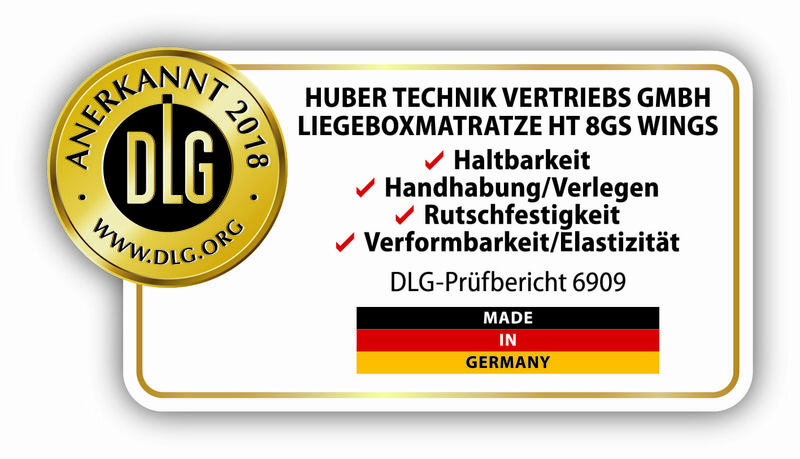 The solid rubber cover in the upper and lower section ensure optimum sealing. 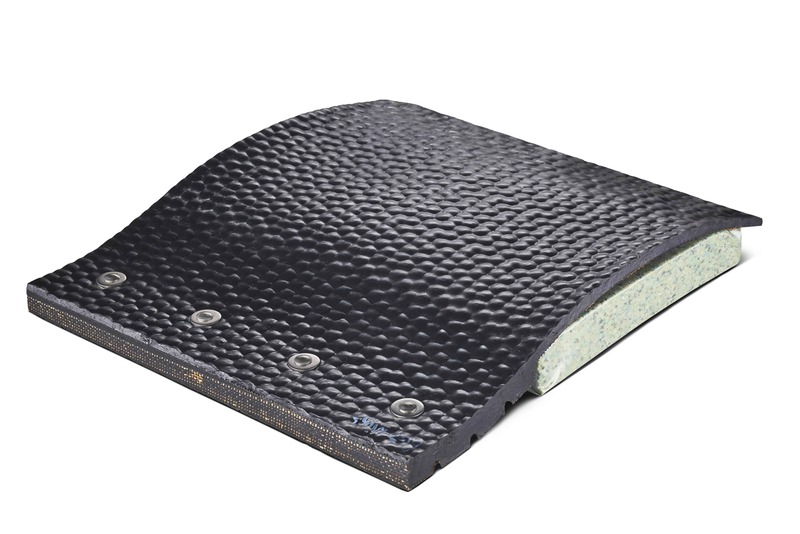 Combined with the plastic wrapped composite foam substructure guarantees years of wear-free. A slope in the rear area facilitates drainage of liquids without penetrating the substructure. 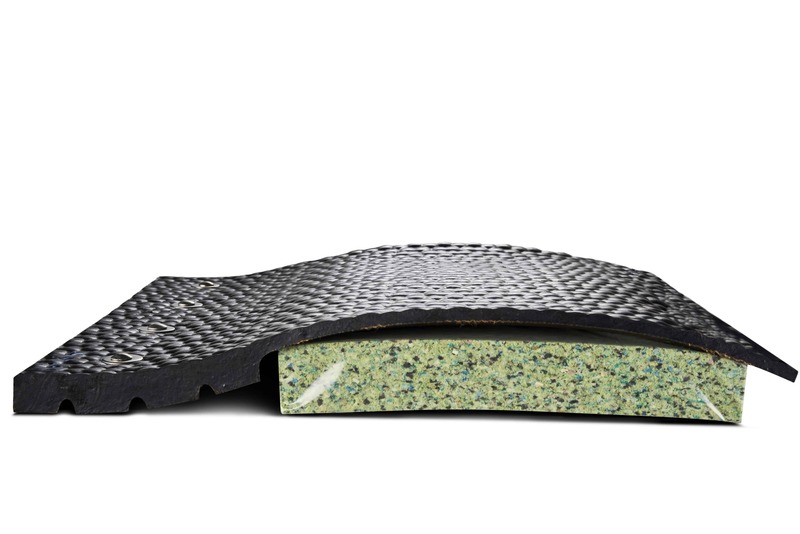 The foam base consists of either 30 mm or 40 mm thick composite foam sheets, creating optimal spring. The solid rubber profile in the upper and lower section ensure a perfect fixing of the foam plates. 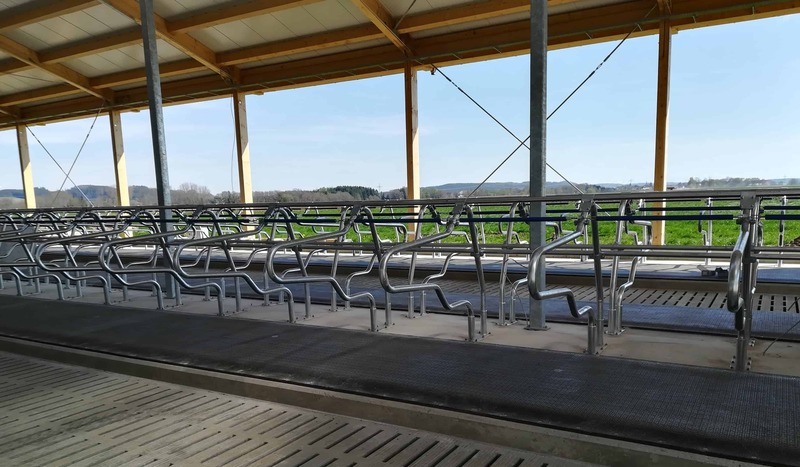 The compression hardness is designed for high punctual loads by dairy cows, keeping the shape of the base for many years.